The platform jacket, a key support structure that will hold gas facilities above water, arrives from Texas at country’s (Israel’s) largest gas prospect. Officials went to sea Thursday to mark the arrival of the platform jacket for Leviathan, a structure designed to support the giant offshore oil platform’s deck, heavy equipment and facilities above the water line, a major step in the “revolution” the massive gas reservoir is expected to generate. 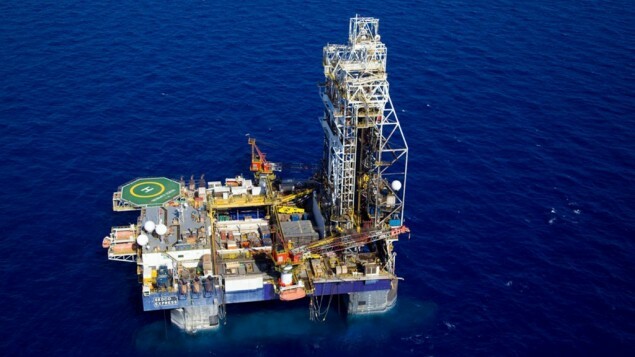 “The Leviathan gas field is the greatest natural treasure that has been discovered in Israel and the arrival of the platform foundation symbolizes our entry into the final stage of its development,” said Energy Minister Yuval Steinitz, quoted by a government statement. The 98-meter (322-foot) high jacket was built in Texas and arrived over the weekend on a huge barge after a 28-day journey across the Atlantic, according to US firm Noble Energy and its Israeli partner Delek, the Leviathan consortium’s lead partners. Prime Minister Benjamin Netanyahu spoke during the inauguration of the newly-arrived foundation platform for the Leviathan natural gas field in the Mediterranean Sea, about 130 kilometers (81 miles) west of the Israeli coastal city of Haifa, on January 31, 2019. “Completion of the Leviathan gas platform and the pumping of gas from this field later in the year is a critical component of the strategic, energy, economic and diplomatic strength of the State of Israel,” he said. “A gas pipeline will run from here and will link us to the gas economy of Europe. It will reach our Arab neighbors.” Leviathan will also supply “clean energy” to Israel that will replace coal and boost the state’s coffers with “billions of shekels,” Netanyahu said. Steinitz noted agreements are in place with Egypt and Jordan to sell surplus gas. Leviathan was discovered in 2010 and is located some 125 kilometers (80 miles) west of the Israeli port city of Haifa. It is estimated to hold 18.9 trillion cubic feet (535 billion cubic meters) of natural gas, along with 34.1 million barrels of condensate. The platform jacket will be fastened to the sea bed, and the topsides are expected to arrive in the coming months, according to a statement by Leviathan. 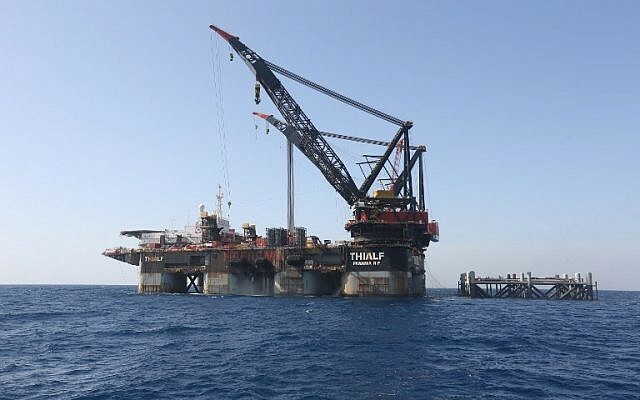 Once in place, the platform will receive the gas from the reservoir through two underwater pipelines, process it and then send it via another pipeline to the Israeli gas transmission system, the statement said. (MENAFN) Israel’s Leviathan gas field will be linking Tel Aviv to the gas market within Europe and extended to the Arab world with Jordan and Egypt specifically included. Israeli Prime Minister Benjamin Netanyahu made the statement while launching the installation of the lower part of the Leviathan gas field platform in the middle of the Mediterranean Sea. “Two-thirds of the gas revenue from this facility will be transferred directly to the treasury of the state and about hundreds of billions of shekels will be used in the areas of education and social welfare and funding vital needs,” the prime minister stated. “The completion of the gas platform in the Leviathan field in the Mediterranean Sea and the start of gas pumping and delivery throughout the year is a critical element of the State of Israel’s strategy,” Netanyahu stressed.